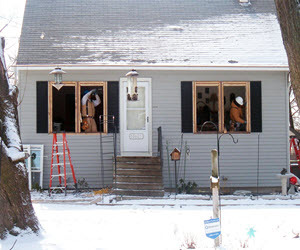 HOW TO GET A HOLD OF THE BEST ROOFING SERVICE AND INSULATION CONTRACTOR IN AKRON, OHIO. ​Keep the heat in and the mold out. 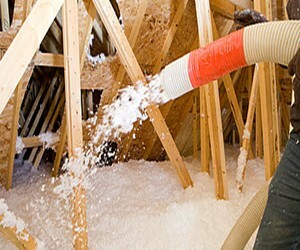 Proper roof insulation can effectively help heat and cool your home while simultaneously keeping energy costs low. Observing how snow melts from your roof is a sure way to tell if your roof or attic is properly insulated. If you have numerous icicle formations, snow is melting off sections of your roof faster than others; or if your home is snow free before your neighbors’, you likely have an insulation issue. These tell-tale signs are caused by heat rising and escaping through your attic. Escaping heat can cause higher energy bills and accumulated moisture, resulting in dangerous mold and rot. Call or fill out the FREE instant quote form to the right for your insulation questions in Akron, Oh.